The album art looks so familiar to a Dutch person living in the west of the country, with one notable exception: those palm trees. Another issue is that over here usually there are boats moored everywhere so people can step into their boats right from their respective backyards. 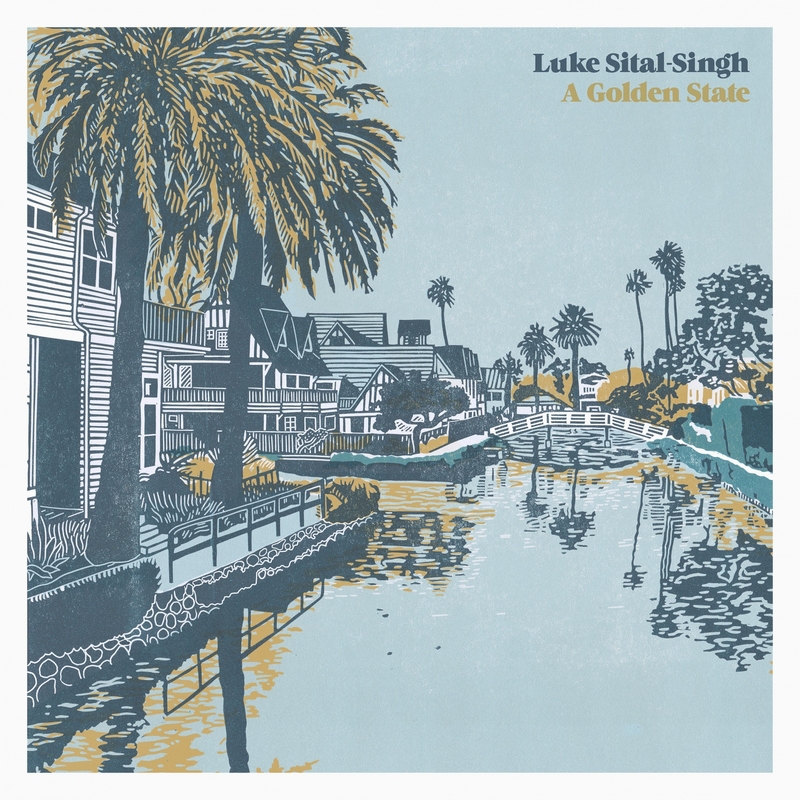 The opening of A Golden State has the same laidback feeling the cover art suggests. The song is slow, mellow, certainly a dash of melancholy is added. With the song I'm stepping straight into Ryan Adams territory. (Yes, I mention the unmentionable. There's music and personal behaviour.) Another strong reference is The War On Drugs on an acoustic guitar. This instrument is where A Golden State starts. All the rest follows from there. 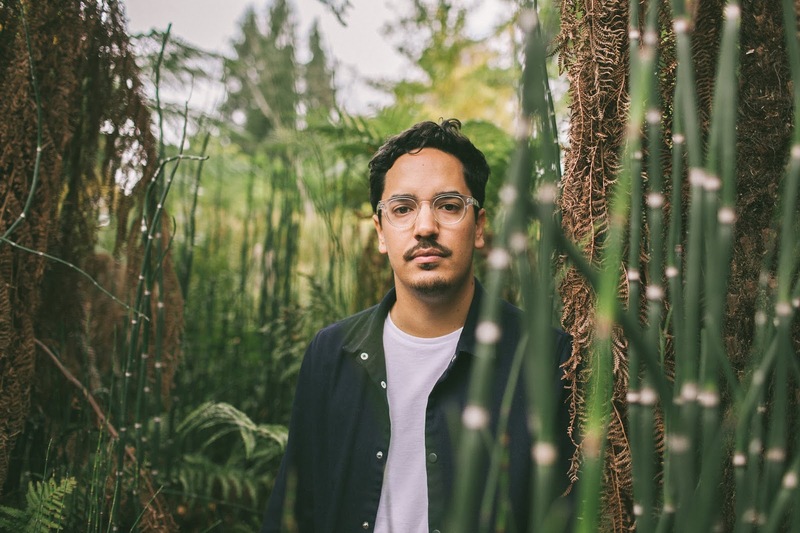 Luke Sital-Singh presents his music in what I would call the singer-songwriter segment of Americana. The most prominent instrument on this album is the voice of Sital-Singh. He sings us stories, perhaps personal, perhaps observations. This is an album for listening intently. There's is not much other use for A Golden State. With songs as vulnerable as 'The Last Day' there's no alternative but to listen to what is sung. 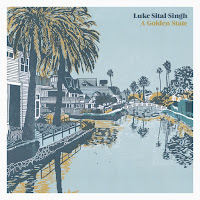 Sital-Singh until early this year lived in Bristol, but moved to Los Angeles. The album's title and cover art reflect that. The music and songs could do with a little sunshine. Pain and loss are a huge part of this album. From a car breaking down, to nothing left behind but a silhouette, there is a tremendous sense of loss permeating this album. It can be a chore listening to A Golden State because of this, but also a joy to wallow in the gloom. Simply because Sital-Singh is able to write beautiful songs. Yes, he has his influences, there's no denying, but who cares when a song like 'Almost Gone' has the subtle yet so effective changes? With a minimum of effects this singer-songwriter achieves a maximum effect. And that Americana? It moves further and further to the background as A Golden State progresses to just singer-songwriter in optima forma. There's no need for more words. My effects can be just as minimal, as the conclusion reached can be summed up by one word: beauty.